Last year this list was easy. I was not able to see that many games so it was not hard to find a few photos for the countdown. This year even with gaining an extra slot it was too hard to narrow down this list. 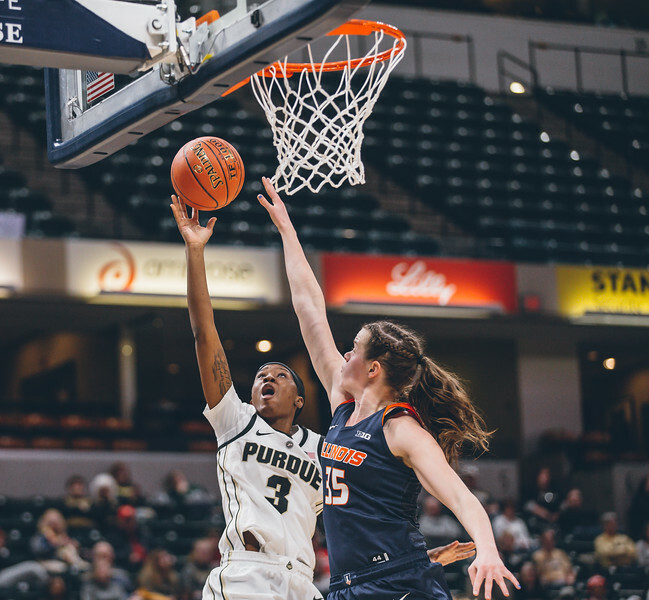 I had a rough draft of this post ready to go, and then the Big Ten Tournament happened which meant two extra games to think about. This year you could see the potential of this team. At times they were giant killers that had this killer instinct. They are a young team, and it will be interesting to see what another year does for them. This was probably the hardest that I have ever had to work to come up with one of these countdowns. I saw a lot of cool moments this year. Below are my favorite moments from this season. 19. The countdown starts off with a couple of photos from senior day. This team lost two really good people to graduation this year. 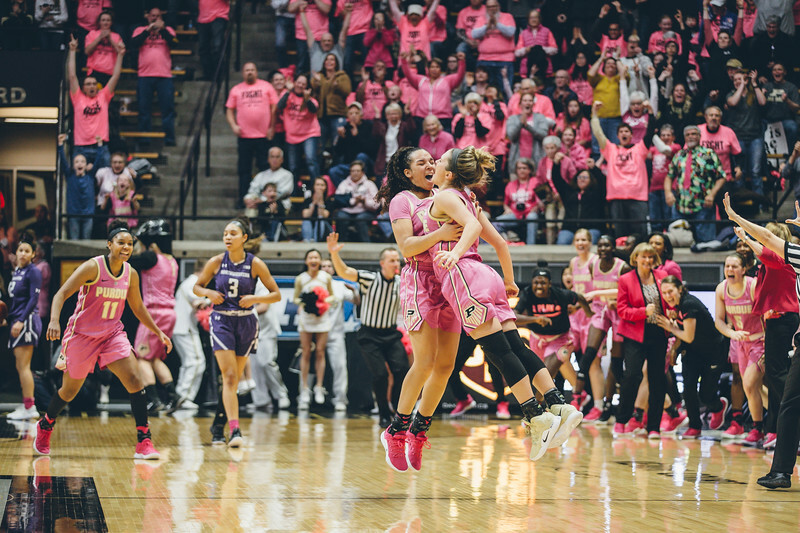 I wanted to show a couple of my favorite moments from their senior day ceremony. 18. Next on the countdown are two more photos of the seniors. They are the two that I liked the most from the season. 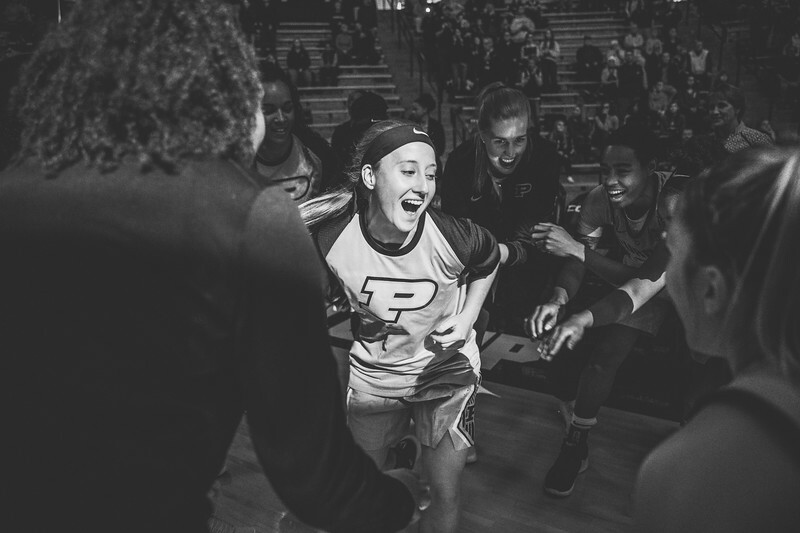 At the top is Abby in the pregame huddle just before her last game in Mackey Arena. 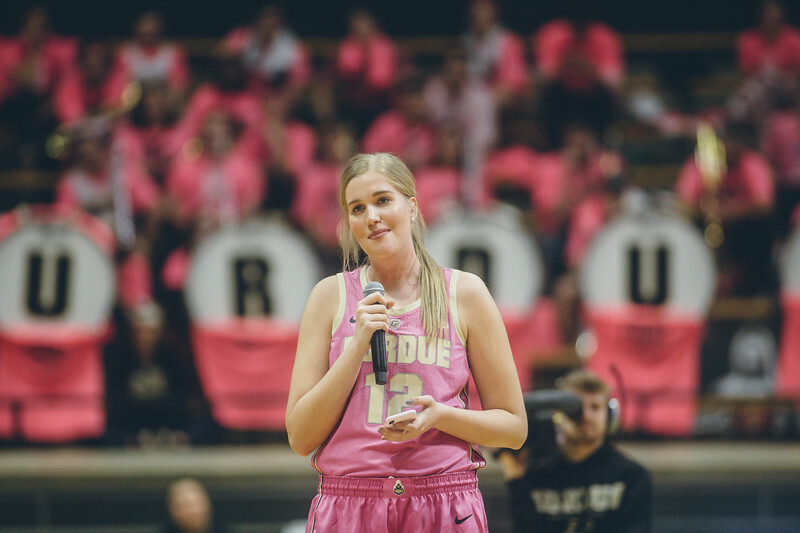 Abby is a force off of the court doing good things for many people. I saw that first hand a few years ago. 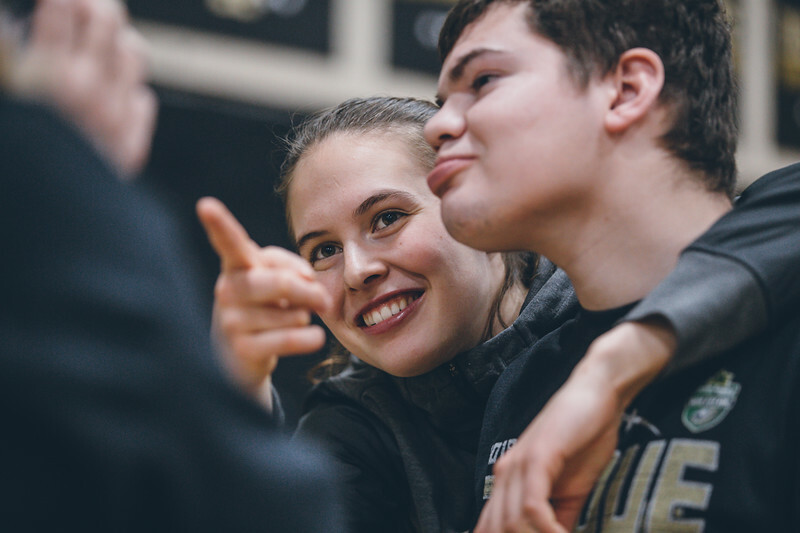 Nora had a rough senior season not being able to play, but she stayed with her team and helped guide them. 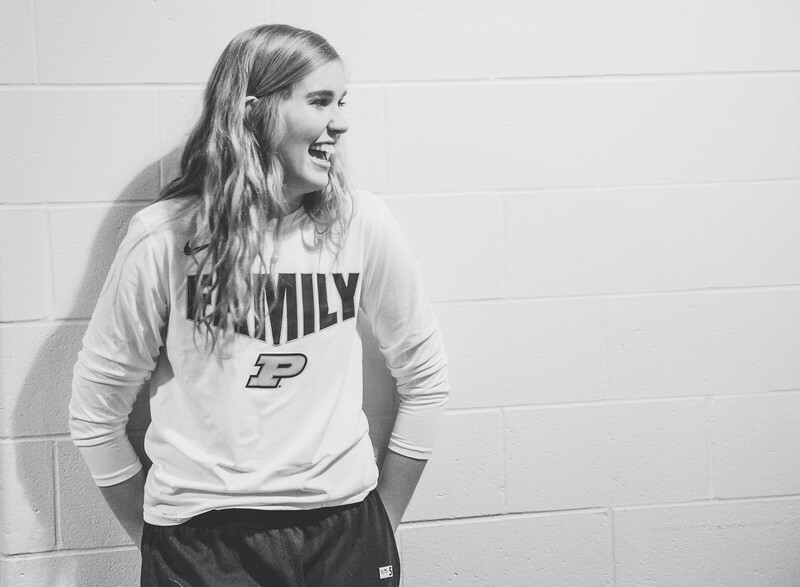 Here she shares a laugh just before the Boilers last game in the Big Ten Tournament. The program will miss these two for sure. 17. Leony Boudreau did not see the court this year, but she is on this list twice. That is because she is great with the fans. 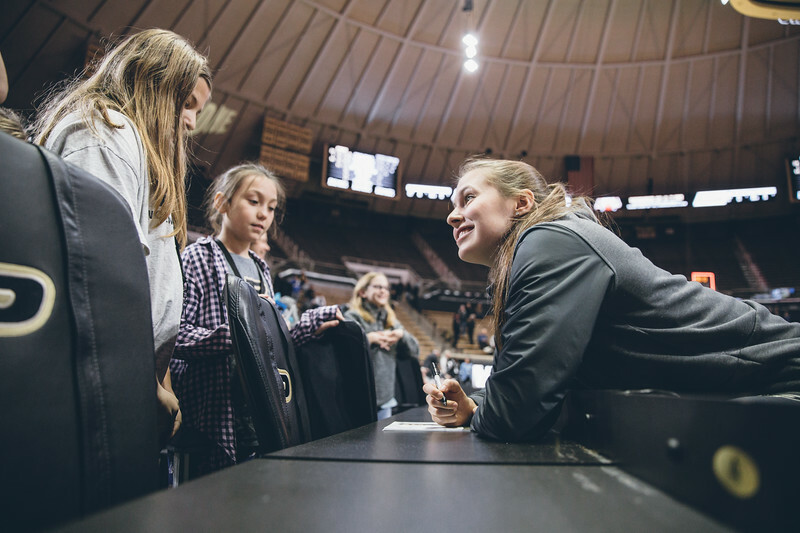 Here she takes a moment to take a photo with a young fan after a Purdue game. 16. This angle will show up again on the countdown. The second half is my favorite half to shoot because of backgrounds. When the player is off to my right the National Title banner shows up in the photos. When they move over towards center court the band is in the background. This angle is one that I put in way too many galleries during the year. 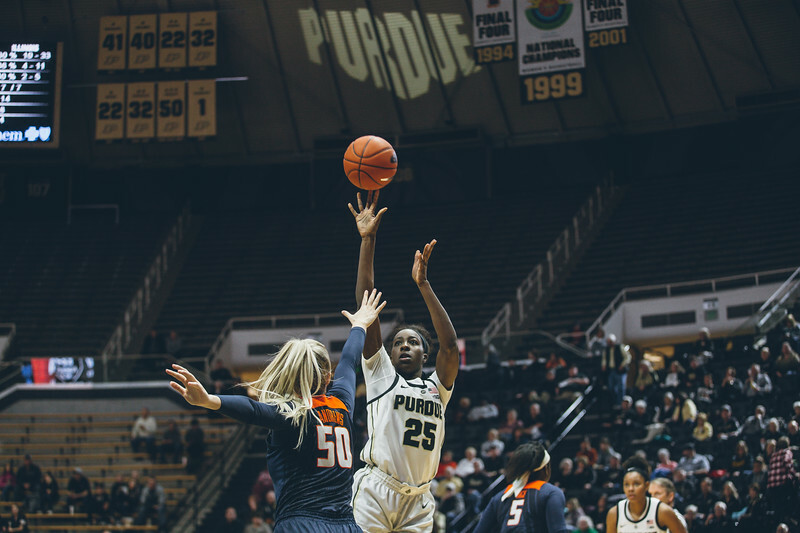 Here Tamara Farquhar takes a shot with history above her. 15. This season Kayana Traylor was a force as a freshman. I remember hearing good things about her when I would visit my brother in Martinsville where she went to high school. She had a good freshman year adjusting to the Big Ten. Here she battles against Indiana. 14. Lyndsey Whilby had a pretty good Big Ten Tournament. There were points of games where she just took over. You can see the potential here to be a star for this team. She has tools that make it hard to defend against her. 13. 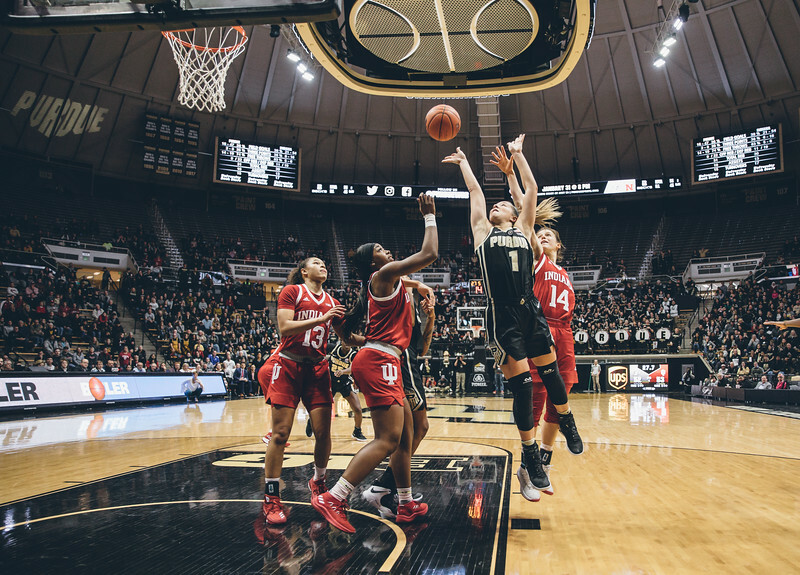 I love Mackey Arena. Any chance that I get to show it off I will use. Here Kayana Traylor shoots a three. I had a wide remote set up just for this situation. 12. In my mind Nyagoa Gony is thinking of what to write on the white board. In reality she is probably wondering why the fat guy is so close to her with the camera. Either way it makes for a good photo. 11. 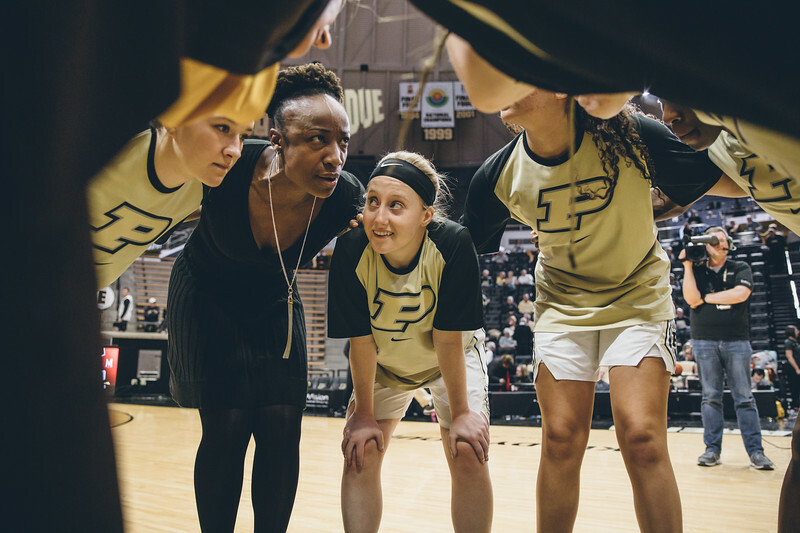 Sharon Versyp has been coaching in the Big Ten for a while now. She has outlasted many other coaches. 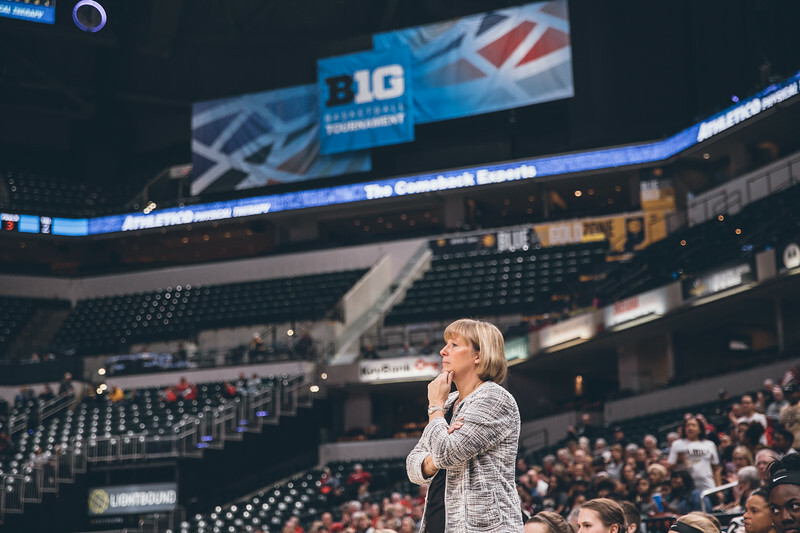 I thought that with her tenure this shot of her with the Big Ten logo during the tournament was a good one. I knew that I wanted it, and I had to be patient enough until she stood in just the right spot. 10. Here is Leony interacting with fans again. 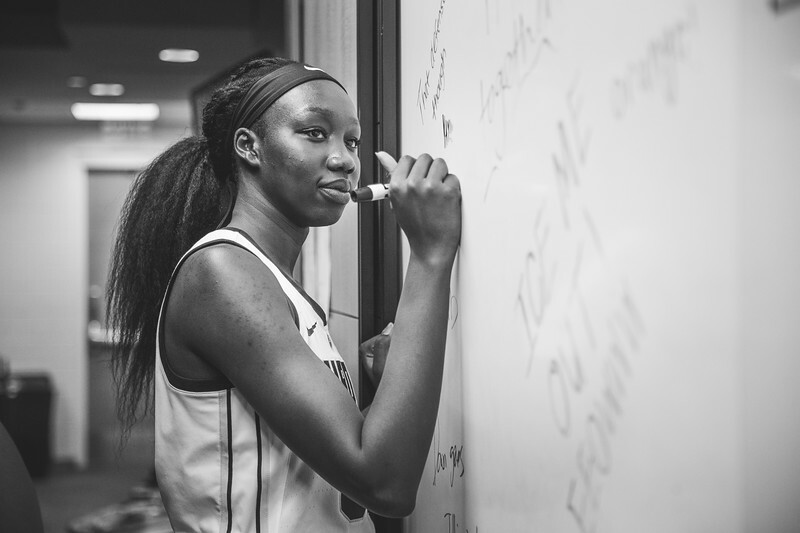 This is one of the great thing about the women’s program is how they can connect with the fans. I know from experience just how much that can mean to a young athlete. The players that did it when I went to school inspired a generation that now can come back and do the same for the younger generation. 9. 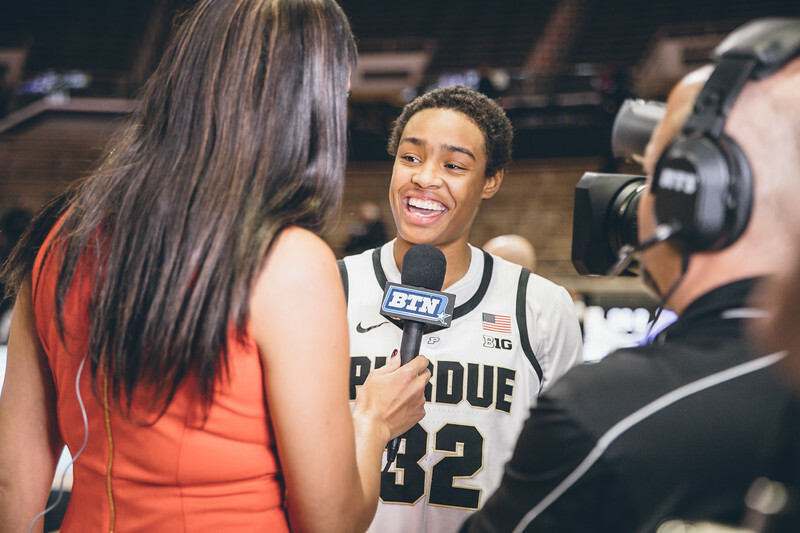 Amber Harris is a fun player to watch. She changes the game with her skillset. I don’t feel that I do a good enough job capturing that during games. When she is under the basket looking up it is not a great photo for me. Next year during her senior year I need to do a better job of documenting her. 8. Here early in the season Dominique Oden let a floater go with my favorite background behind her. Oden is a great athlete that can change the game. She will show up again on the countdown. 7. 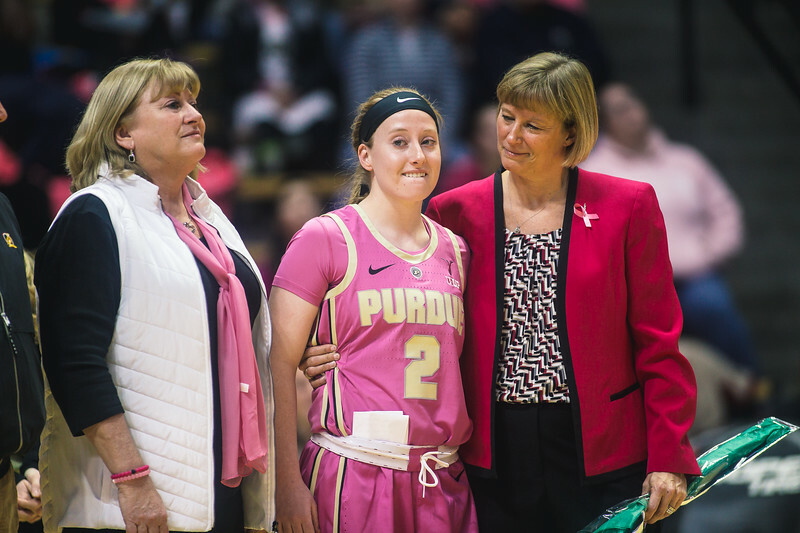 Prior to each home game the team would rally around senior Abby Abel. Here was my favorite capture from those moments during the season. 6. Here is a wide shot from under the basket showing Amber Harris work to get an shot off. I love this angle. 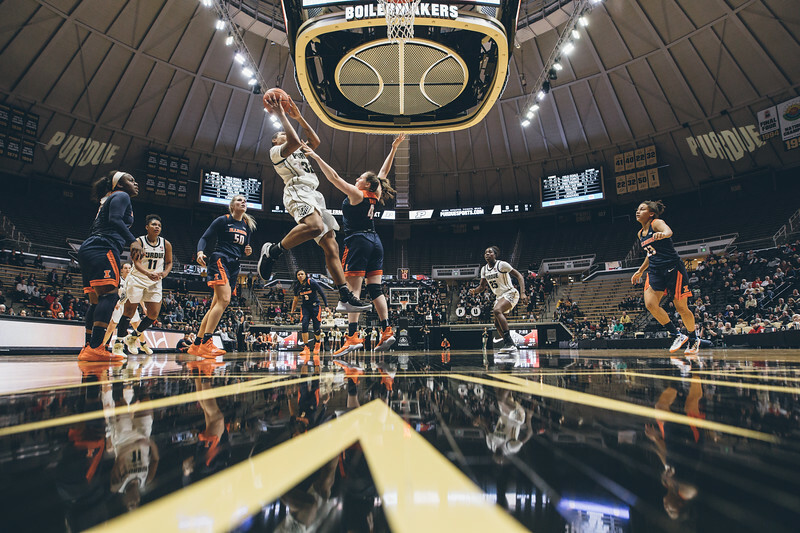 Purdue has two great slots under the hoop to allow for this type of shot. 5. 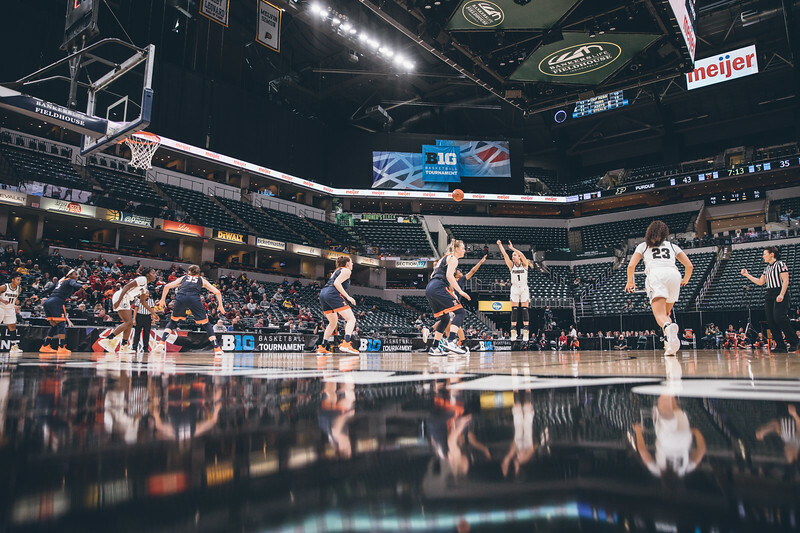 Here is another wide angle this time from the Big Ten Tournament. I had a remote at my feet to capture the wide view while I was zoomed in with my handheld camera. I love these type of shots because they give you a sense of place. There is no question when this photo was taken. 4. Here is another shot of the players interacting with the fans. 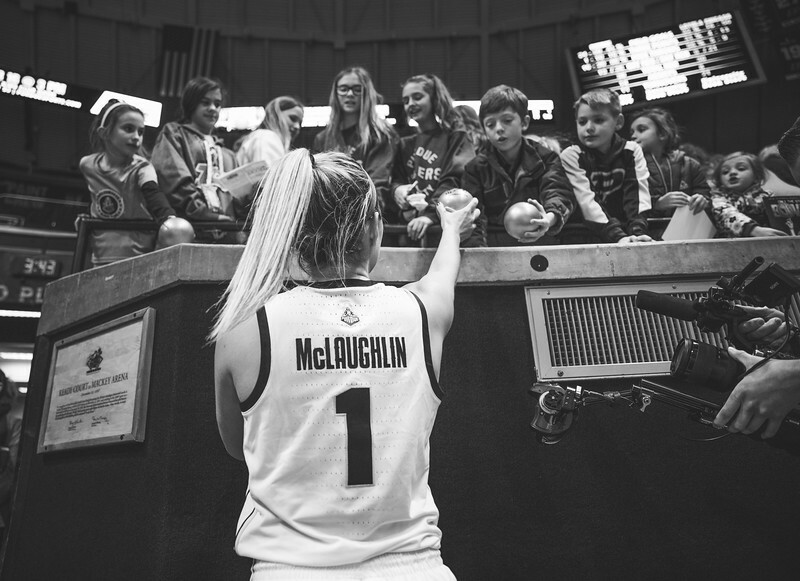 Here Karissa McLaughlin signs some basketballs for fans after a Boiler win. 3. Early in the season I made this picture, and it has been a favorite ever since. There is just something about it that I have always liked. I love the gesture of Dominique to start. I also love my favorite background above her. The sign saying go just seemed to complete it. 2. 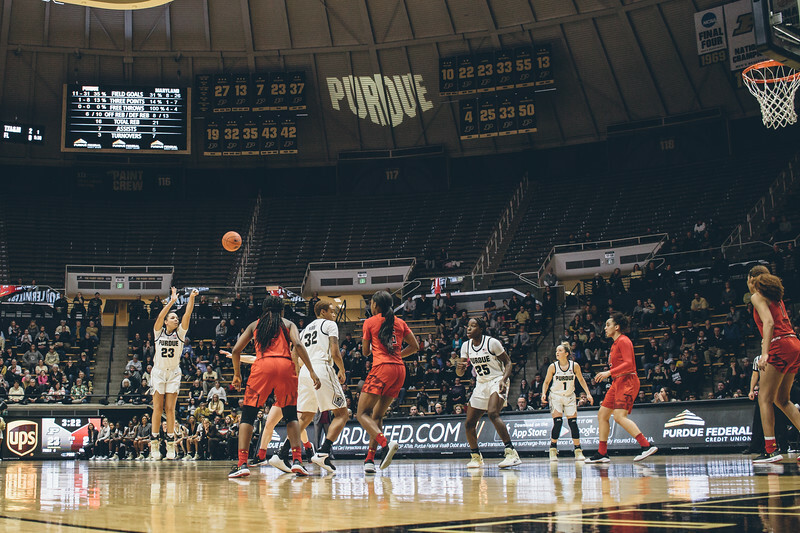 My favorite action photo of the year is this shot of Karissa McLaughlin making the game winning shot against Indiana. I was lucky in my position to make this picture. It was a great win to cap off a great weekend against our rival. 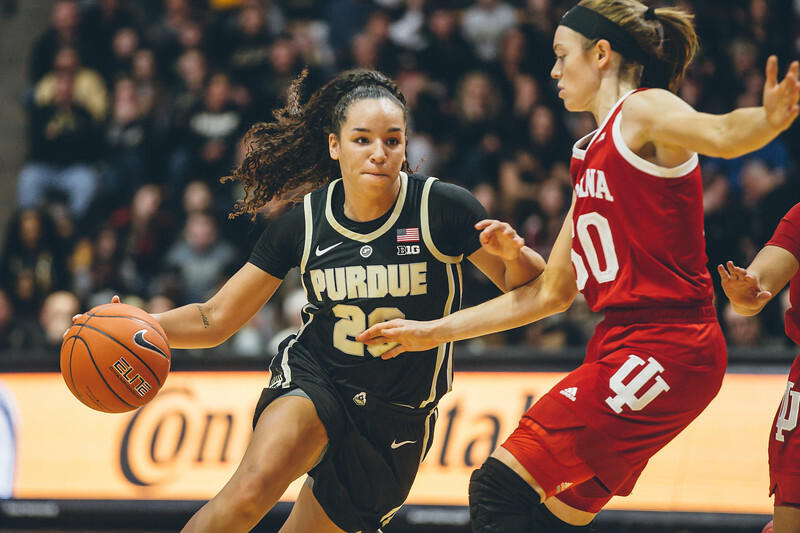 Purdue won three games in three days all at home against IU. This was a great way to seal the deal. Here is another Karissa McLaughlin game winner. I had this angle of the play because I was shooting for the opponent. In a moment like this there is nothing for me to document for my team so I shot the jube. 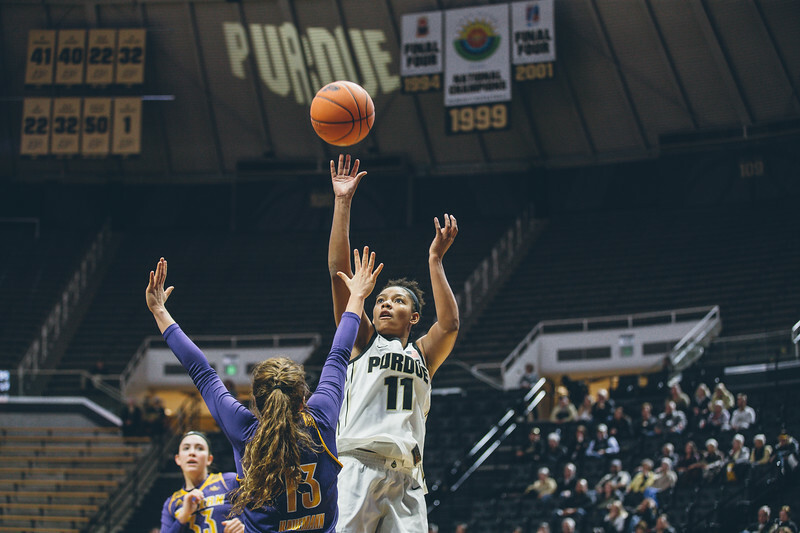 This is one of my favorite photos that I have made in Mackey because of all of the emotion. So there are my 19 (or so) favorite photos from this past season. 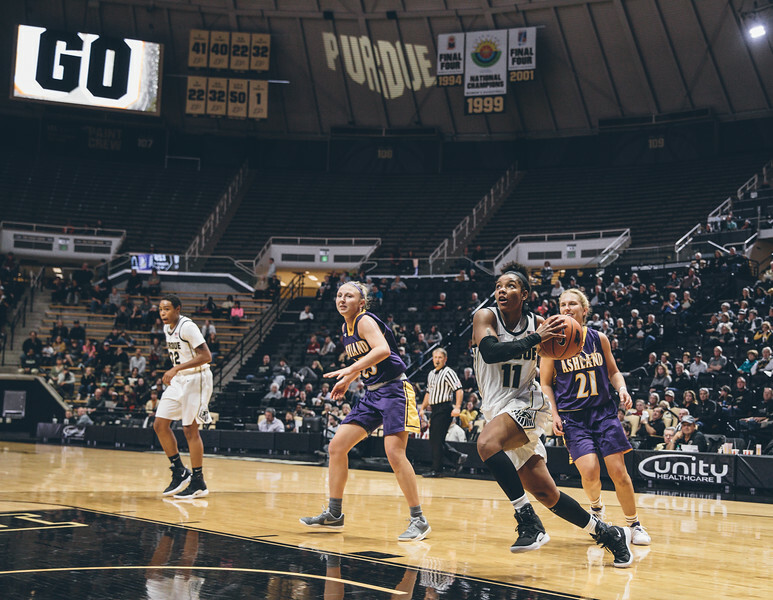 It was fun getting back into Mackey more to see the teams play. I love that I had too many games to go through to come up with this countdown. Next year it would be cool to play longer into March to make it even harder to come up with this countdown.